Monday Myth Buster- Do Strawberries Whiten Your Teeth? We are fast approaching Strawberry season and this week's Monday myth buster is all about our favourite fruit. You have probably heard in some form or another that strawberries can whiten your teeth. Could it be true that this famous Scottish berry could help give us shiny pearly whites? This myth is in fact TRUE! 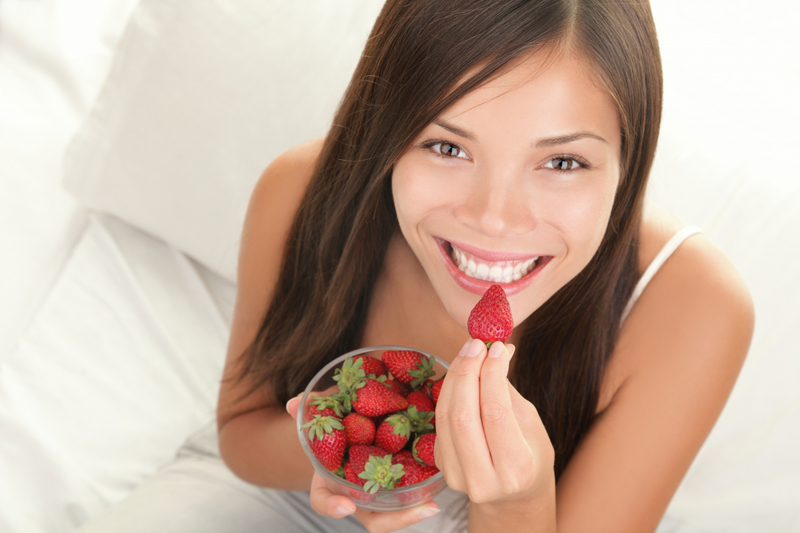 Yes, it is true that strawberries can whiten your teeth this is due to the enzyme malic acid. Malic acid has lots of fantastic benefits it has antiseptic properties which are great for oral health. In fact, malic acid is so good for us that many people take it as a supplement to increase their overall health. More importantly to today’s myth, It can help break down stains on the teeth, therefore, improving the overall whiteness and appearance. However, be warned the very same malic acid can erode the teeth and having large amounts can be harmful to tooth enamel. For a safe effective way to whiten teeth why not try our professional whitening kit? Check it our here.